Britt Gillette is author of End Times Bible Prophecy, a website dedicated to helping people better understand God’s prophetic Word. 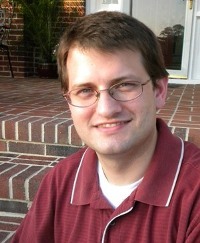 Many of his articles appear on Rapture Ready and other web-based ministries across the Internet. Britt currently lives in Virginia with his wife, Jennifer, and their daughter, Samantha. 7. The End of the World? 8. Is the False Prophet the Antichrist? 17. Why Study Bible Prophecy? 24. How Do I Get To Heaven? 25. Where Is This World Headed? 26. Is The Bible The World’s Only Prophetic Book? 29. Who Is Jesus of Nazareth? 31. What Happens When I Die? 35. The Antichrist: Who Is He? 37. Blind Faith In Jesus Christ? 40. The End of the World in 2012? 41. Who is the Antichrist?